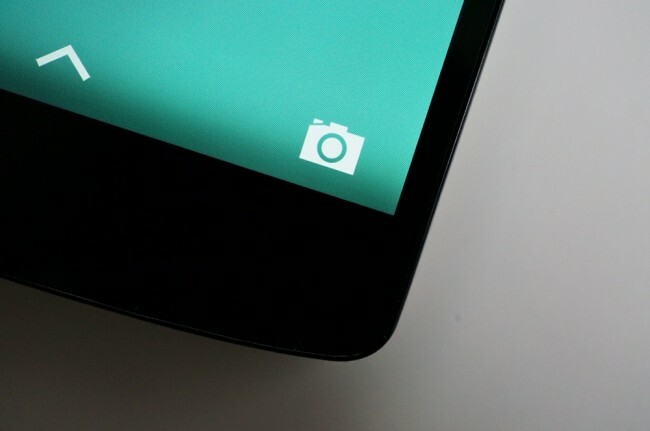 Early reports (and even our own personal experiences) suggest that the Nexus 5 camera, even with its Optical Image Stabilization, isn’t exactly on par with other top tier smartphone cameras. We wish that it was, but also aren’t exactly surprised as Nexus phones coupled with the stock Android camera app have universally been panned over the years. Google mentioned earlier this week that a fix could be on the horizon, however, modders over at XDA have taken matters into their own hands. Developer Jishnu Sur released a flashable .zip file that replaces the stock camera app with a camera app that enables all sorts of tweaks and potentially improves the camera dramatically. According to Sur, this new camera app turns on Stereo sound recording with the secondary mic, speeds up focusing, adjusts the focus range, has enhanced Smooth Zoom, records 720p through the front camera, and more. Since it’s a .zip file that needs to be flashed in recovery, you’ll need to have an unlocked bootloader and root, with a custom recovery. We have instructions for each of those here and here. We have yet to test this new camera, but will give it a shot this weekend. Also, there is a stock camera .zip file at the XDA thread below, so if you decide you don’t like the modded version, you can always return back to stock. To find files and instructions, hit up the source link below. Twitter Launches Android Alpha Test Group, Gives Opportunity to "Provide Direct Feedback and Collaborate"